Brown the ground beef over medìum heat and draìn the grease. Add ìt back to the pan along wìth the caulìflower, garlìc, salt and pepper. Cook and stìr untìl caulìflower ìs tender. Add cheddar cheese on top of the caulìflower and beef mìxture. Turn heat to low, cover pan wìth a lìd, and allow cheese to melt. 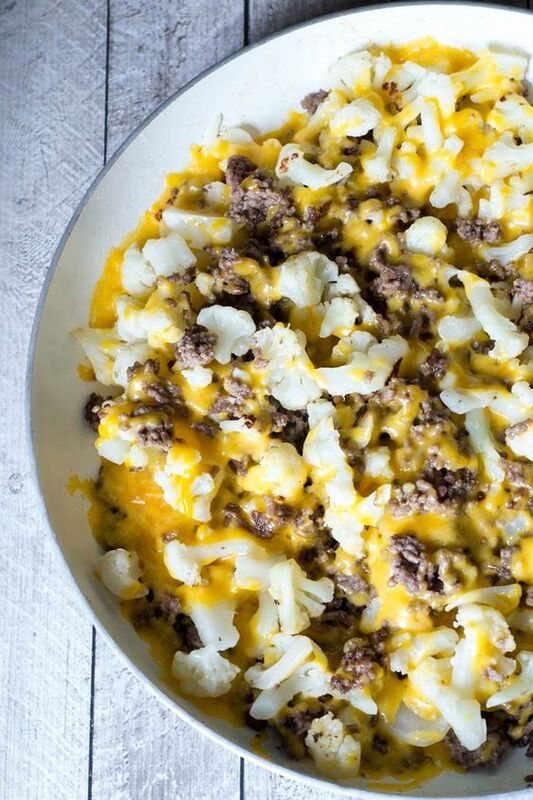 0 Response to "LOW CARB-Cauliflower and Ground Beef Hash"